Quality management at Norse Precision Castings is based on BS EN ISO 9001-2008 for manufacture and design of aluminium castings and mouldings in rigid polyurethane. The measures demand strict adherence to quality control procedures set to international levels, which can be enhanced to encompass any customer's specific requirements. Quality control is a tradition at Norse Precision Castings, at the very centre of activities from materials procurement, and component design, through to final inspection, and after-sales service. Norse Precision Castings Ltd is ranked high in supplier ratings by many prominent engineering companies, and has an enviable record of achievement in meeting clients individual specifications and logistics. Full traceability and certification is available. 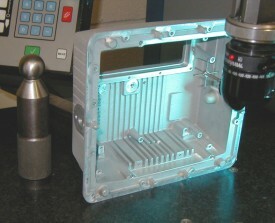 Using up-to-date measurement and reporting techniques, attention to detail is paramount, with particular consideration for moulds and pattern-making. Sampling & data evaluation using modern statistical methods also play a part in drawing to attention any potential area of deviation. Quality control benefits from having all post-casting manufacturing, including straightening, heat treatment, CNC machining, finishing, and assembly, under one roof. 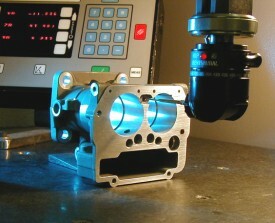 Customer satisfaction is assured by 100% parts inspection and checking to customer specification before despatch.